Portfolio Property Investments (PPI) is an investor focused property brokerage company, which is Sales and Marketing driven. This is achieved through comprehensive Website marketing and Networking via an integrated database. PPI sells all types of property in South Africa, Cyprus and the United Kingdom as well as Investment packages both in established as well as developing markets. PPI is geared towards highly motivated individuals, who can work both as a team, and alone. The individuals must be Sales driven in line with the company’s aggressive Sales strategy. All brokers are required to have all the necessary industry qualifications and certifications. These may change from time to time but are a pre-requisite for employment within our organisation. 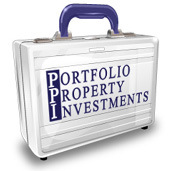 PPI is web based with its interactive website designed for use by brokers, investors or sellers of properties. There are no set office hours, nor geographical restrictions as to where a broker can operate. There are no restrictions on the property types that a broker can market, from residential to commercial, industrial, developments, land as well businesses. PPI is initiative focused. You are your own boss, but work within a set structure under the guidance of the Principals and an Office Manager. There are no desk fees or franchise fees. All you need is your own means of transport, mobile phone and ideally your own laptop. All brokers will sign our standard employment contract that ensures their autonomy and flexibility at the same time. If you would like to receive a copy of our Brokers Introduction Pack and discuss the career opportunities that PPI can offer then please contact us.